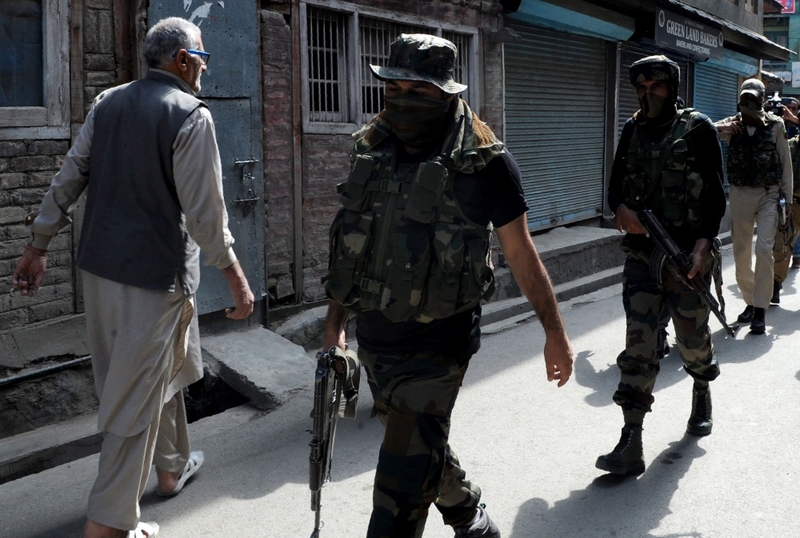 SRINAGAR, India — Indian forces on Thursday killed a Kashmir militant leader who became a folk hero in the troubled territory after giving up geology research at an Indian university to become a militant, officials said. Manan Wani, 26, and an associate were killed in a fierce gunfight that lasted more than 10 hours after security forces were tipped off that he was hiding in a residential area, officials said on condition of anonymity. “Wani’s family have identified the body and now legal formalities are underway,” one police officer said. Another police officer said Wani and his associate escaped a first siege but became trapped in a village in the northern area of Handwara, where they were killed. Wani quit a PhD program at Aligarh University in January to join Hizbul Mujahideen, the biggest group fighting for Kashmir’s merger with Pakistan. He rose to prominence after circulating two open letters in the Indian media explaining why he took up arms. “We are soldiers we don’t fight to die, but to win, we don’t feel dignity in death but we do feel dignity in fighting (Indian) occupation, its military might, its oppression, its tyranny, its collaborators and most of all its ego,” Manan Wani wrote in his first letter in July. The scholar-turned-rebel died not far from his home in the densely militarized frontier area of Kupwara. The killing of another popular rebel leader Burhan Wani — no relation — by security forces in July 2016 sparked fierce protests in Indian Kashmir that left more than 100 dead. Top separatist leaders opposed to India’s rule in Kashmir called for a general strike on Friday over Wani’s killing. The JRL called for a complete shutdown “to pay homage” to Wani, he added. Since 1989, Hizbul Mujahideen and other groups have been fighting hundreds of thousands of Indian soldiers deployed in the territory that is divided between India and Pakistan and claimed in full by the archrivals. Tens of thousands, mostly civilians, have died in the fighting between separatist rebels and government forces. This year at least 180 militants, 60 civilians and 74 security forces have been killed in dozens of clashes.